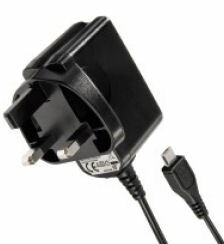 First of all, you'll need a power supply with a micro USB plug that can supply 5 volts and is rated at 700mA or more. I found that the power supply belonging to my Blackberry phone did the job, but you can buy a suitable power supply from Cut Price Cables. In order to interact with your Raspberry Pi you will need a USB keyboard, and if you intend to use a graphical user interface (GUI) you'll need a USB mouse as well. 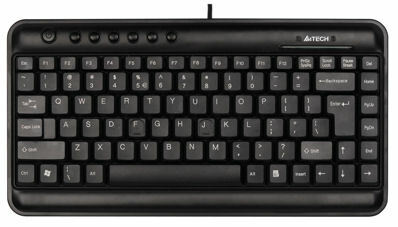 I chose a compact keyboard (available from Cut Price Cables) because I wanted to keep the overall size of the system as small as possible, but most USB keyboards (and mice) should work with the Raspberry Pi. You'll also need to connect your Raspberry Pi to a suitable display, or monitor. The preferred method of connection is via the on-board HDMI output. Most modern flat screen TVs have HDMI inputs so you can simply connect the Raspberry Pi to a suitable TV using a HDMI cable and this has the advantage that it will carry both video and audio. 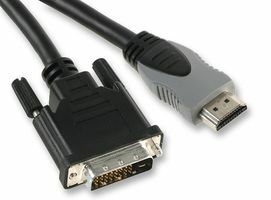 If you wish to use a computer monitor then you'll need one with a DVI input, and use a HDMI to DVI cable (or adapter), however in this case you'll need to use the 3.5mm stereo jack if you require audio output from the Raspberry Pi. A range of HDMI and HDMI to DVI cables (and audio cables if required) are available from Cut Price Cables. The final essential item you'll need is a SD (or SDHC) memory card containing a boot image of the operating system you want to use. The Raspberry Pi will boot from the memory card and save any applications and data on to it as well. 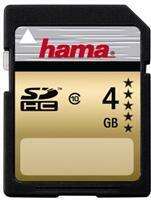 The memory card will need to have a capacity of at least 2GB, but it is recommended that you use a 4GB or larger card to allow space for user data and applications. Ready to use memory cards with a choice of operating systems preinstalled are available from Cut Price Cables but it is reasonably straight forward to prepare your own memory card, and I'll go through the process of how to do this in my next posting. Photo Editing Pricing value on the images editing requirements. The exact price of you use can vary greatly. Depending on the vendor/contractor, the complexity of the image editing volume of images and how quickly you need the edited photos back Forget an idea about Our Pricing you can check our photo editing price list.